With High Streets declining and the demand for housing increasing, the Government is considering extending current permitted development rights in order to combat the slow supply of new dwellings and to help High Streets adapt to changes in consumer behaviour. However, the approach has been criticised heavily, with sources believing it will only lead to poor design and poor-quality housing and carry serious financial risk for local authorities. Other changes include removing the right to install and advertise on public call boxes and increasing size limits for electric vehicle charging points. Beneficial to commercial developers and property owners? Of course, the first thing you would assume from extending permitted development rights is that it would be easier for plans to go through the local authority. The normal supporting documents would not be necessary, thereby cutting the cost of residential and small commercial developments. However, it can be argued that this change opens up developers and those wishing to extend their homes to a greater right of light risk. The current planning system allows for neighbouring residents to make comments on a proposal before it is decided and, owing to confusion over daylight/sunlight for planning and legal rights of light, most residents will normally assert potential rights of light claims at this stage. With this step in the process removed, however, developers may well proceed with works without prior warning of neighbouring resident’s objections. Consequently, building works could be halted during the process or removed by an injunction from neighbouring residents’ right of light claims. Cause of concern for affected parties? Being affected by a neighbouring proposal can often be a cause of concern for residents, who more often than not have only limited knowledge of the daylight/sunlight standards and their legal rights of light. Presenting any comments or concerns to the local authority is often the most effective way of raising questions over the suitability of a proposed design, and acts as an effective barrier to poorly designed developments and extensions. Increasing the rights of permitted development might make it easier to get an extension or development to a stage where it can be built – but would it make it harder for neighbouring properties to protect their light? The Government paper produced on the matter is currently asking for input, trying to form a system of prior approval, that would take into consideration the impact on amenity of neighbouring properties. Without the input of affected residents, however, they are unlikely to be able to fully understand the impact. Benefit to new home owners? Sources have argued that the relaxation of permitted development rights is only likely to lead to sub-standard housing and living conditions. Without the scrutiny of the local authority to ensure good quality design and adequate living space, new homes built under these extended rights could not meet the minimum requirements for a good living space. In terms of light, those proposing a new dwelling or conversion of a commercial site to residential can be asked to prove that the habitable rooms within these properties will have access to adequate daylight and sunlight. Depending on the area and the design, these minimum standards can be difficult to achieve, especially when converting commercial spaces which are usually in built up areas with already poor access to light. It is therefore not difficult to understand why people are concerned with the conditions of these new housing provisions. 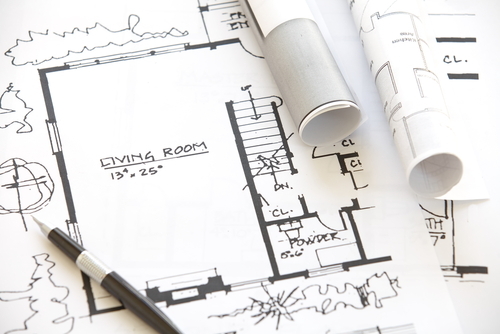 Overall the extension of permitted development rights could be beneficial for those looking to extend or develop, as permission should be easier to obtain. However, rights of light should always be considered before proceeding with the build, as this can provide you with options about how to proceed should an injury occur. For those being affected, it could be more difficult to object at the planning stage, but there is always rights of light to fall back on, which in some cases can be more effective in forcing design changes. It will also be interesting to see whether the new housing created under this scheme will meet minimum standards for light and provide good quality housing to meet the growing demand.